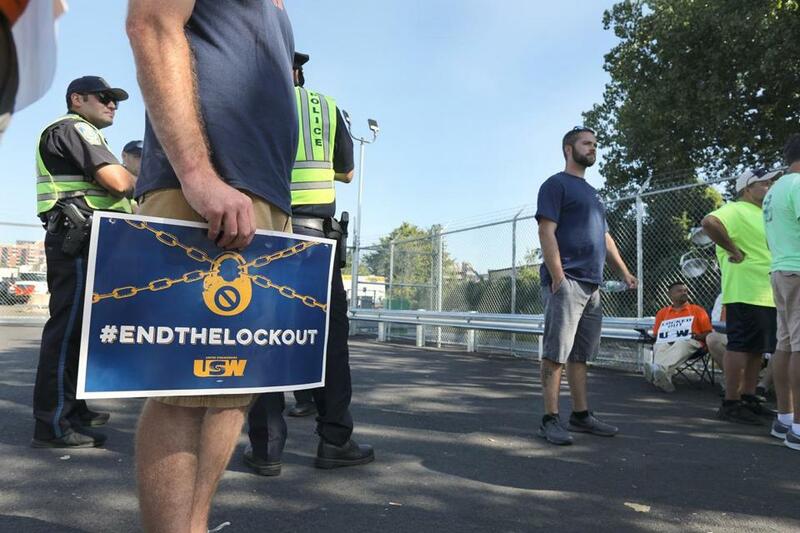 Locked-out workers picketed at the National Grid gas facility in Malden earlier this month. Last week’s natural gas disaster in the Merrimack Valley has increased the pushback against National Grid’s lockout of 1,250 union workers amid growing public concern about the safety of gas networks throughout the state. A different company, Columbia Gas, serves Lawrence, Andover, and North Andover, where gas-fueled explosions and fires killed one person, injured dozens, and left 8,500 customers without service. But the catastrophe has put the entire gas industry in the spotlight, labor and crisis-management professionals say, and it could give the locked-out National Grid gas workers some leverage over a company that doesn’t want to be seen as jeopardizing public safety by relying on replacement workers as the standoff drags on. “If people in the boardroom at National Grid were paying attention last Thursday . . . I’m sure they were extremely concerned about ‘What’s the ripple effect on us? Here we’ve locked out all these experienced workers, and are we just some small blip away from something similar?’ ” said Robert Forrant, a labor historian at the University of Massachusetts Lowell. National Grid forced union gas workers off the job in late June, after they refused to accept a new contract offer that included higher health care costs and giving new workers a 401(k)-style retirement package instead of the traditional pension plan that existing employees have. During the lockout, the unions have been tracking replacement workers’ every move, filing almost 100 safety complaints with the Department of Public Utilities. The company said in a statement that it remains committed to providing compensation to the thousands affected by last Thursday’s crisis. Just days before the Merrimack Valley disaster, public officials started pushing back against National Grid. The attorney general’s office called for the DPU to investigate safety issues, and Governor Charlie Baker met with the union workers. Meanwhile, the Massachusetts AFL-CIO publicly asked Blue Cross Blue Shield of Massachusetts to remove National Grid Massachusetts president Marcy Reed from its board because she cut off her workers from the health insurer’s coverage. On Tuesday, Attorney General Maura Healey said she thinks National Grid should bring the union employees back to work, and then continue negotiations at the bargaining table, especially if it helps ensure there are more workers available to pitch in with Columbia Gas’s efforts in the Merrimack Valley. On the night of the explosions, with pipeline safety suddenly leading the news, the DPU contacted the unions to schedule a meeting, set for next week. It will be the first sit-down with the locked-out workers, despite repeated earlier requests from the unions. And the Baker administration told the unions and National Grid they needed to “reach consensus quickly so people can get back to work and every possible resource can be available to assist the Greater Lawrence area,” a spokesman said. “I definitely believe that it’s going to make people realize, if they didn’t realize before the tragedy, how dangerous gas can be and how important it is that you have the right people working with it,” said John Buonopane, the president of United Steelworkers Local 12012, one of the two unions locked out by National Grid on June 25. Locked-out workers have been volunteering in Lawrence, handing out water and setting up cots. But they are frustrated that they can’t use their expertise to help with the recovery, Buonopane said. In the current climate, the fact that National Grid locked out its workers over money might also make the public wonder whether the company is too focused on profits, said Steve Striffler, director of the Labor Resource Center at the University of Massachusetts Boston. “If they’re willing to squeeze financial concessions out of their workers, are they willing to cut corners in other areas that might impact public safety?” Striffler said. National Grid said it is an industry leader in pipeline safety management and has successfully completed more than 18,000 jobs without incident during the lockout. “We have confidence in every employee and contractor working on our gas system,” spokeswoman Christine Milligan said in a statement. But the stalemate with the unions has hurt National Grid’s reputation, and last week’s tragedy has weakened the company’s position, according to crisis-management professionals. Initially, there was confusion about which utility was responsible for the mishap, with some Twitter users blaming National Grid and questioning whether replacement workers had anything to do with it. This type of ambiguity works to the unions’ benefit, said Ashley McCown, president of the Boston public relations firm Solomon McCown & Co., and it will be important for National Grid to educate people that its workers weren’t responsible. “Fear and uncertainty can be a powerful bargaining chip,” McCown said. On Sunday, Columbia Gas announced that it will replace and upgrade the entire natural gas distribution system in the Merrimack Valley, a project involving 48 miles of pipeline. The company is in the midst of modernizing its system across the state, but it said the project will be expanded and accelerated in the Merrimack Valley. The National Transportation Safety Board has attributed the fires and explosions to overpressurization in Columbia’s system. This will create a greater need for gas workers, putting more strain on National Grid’s reliance on contractors during the lockout and possibly forcing it to consider hiring less-qualified replacements, said Striffler, of the UMass Boston Labor Resource Center. National Grid also contracts with workers from some of the same third-party companies that Columbia Gas does. 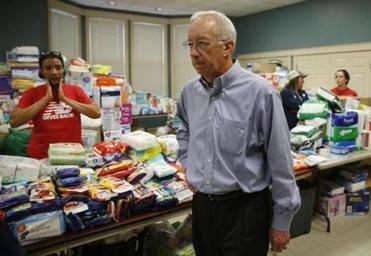 “No one has implied that they have the same problems,” he said. Still, the unions should be careful not to exploit the tragedy, said Forrant, the UMass Lowell labor historian. And National Grid needs to realize that the public is far more concerned about gas safety than it was just a few days ago. “It would be wise for National Grid to put an end to the lockout,” he said. Jon Chesto of the Globe staff contributed to this report. Katie Johnston can be reached at katie.johnston@globe.com. Follow her on Twitter @ktkjohnston.